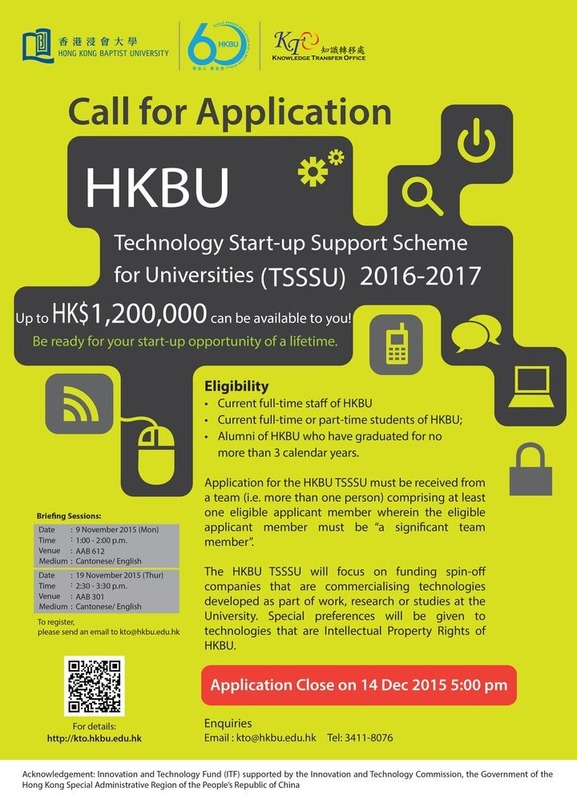 HKBU’s Technology Start-up Support Scheme for Universities (TSSSU) is now calling for application until 5:00pm (Hong Kong Time), 14 December 2015 (Monday). HKBU TSSSU aims to bring R&D results from campus to real world, by encouraging more entrepreneurial activities at the University and facilitating more commercial development of HKBU’s intellectual property rights (IPR) and technology developed at the University. It is a "company start up" scheme designed to encourage spin-off companies to commercialise the IPR and technologies developed at HKBU. Alumni of HKBU who have graduated for no more than 3 calendar years. Applicants should read the "Guidelines for HKBU Technology Start-up Support Scheme for Universities" with explanatory notes and complete a "HKBU TSSSU Application Form" to submit to KTO. Important Note: The Guidelines are subject to further refinements and are not final, but they do serve as a good reference. Please contact the Knowledge Transfer Office for any updates to the Guidelines prior to submitting your HKBU TSSSU application. 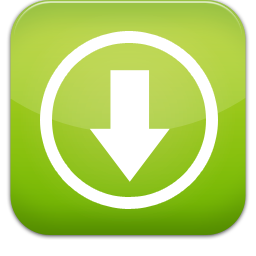 HKBU TSSSU Application Form should be completed and submitted electronically to KTO. One signed hard copy should also be sent to KTO no later than 1 calendar week after submission deadline (see next part). Results will be announced to the applicants within 2 months from submission of their applications. Each successful applicant will have 14 calendar days from the date of offer to accept the offer.